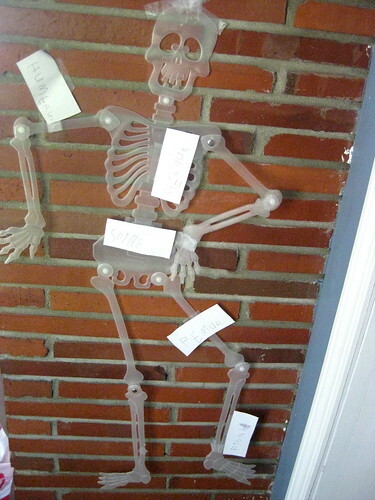 We call him Mr. Bones. 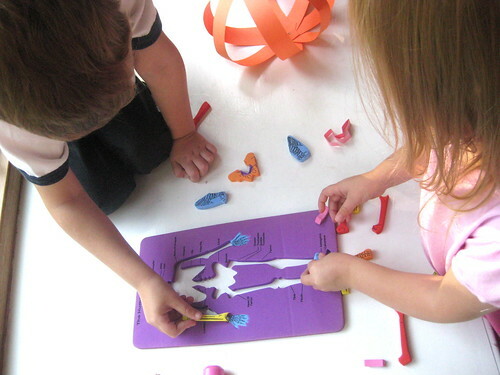 Since he's close to the size of a pre-school child the kids can see where their joints and bones are very easily. We've also been playing some fun games and songs to memorize them. 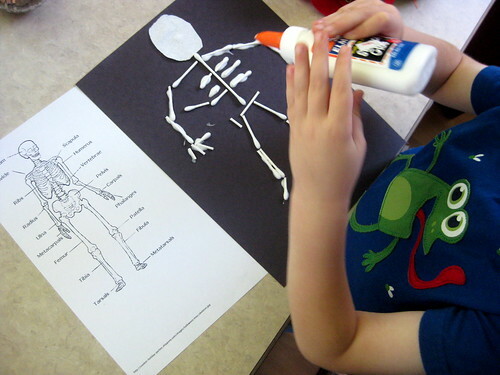 We made skeletons out of q-tips and glue. 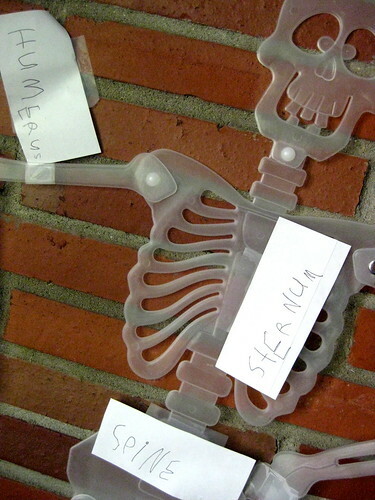 It was easy and fun to name the bones as we put them on. And if you want to make one out of socks, check this out.